Increase your flexibility, mobility, and range of motion using specific stretches, activation exercises, and myofascial techniques that have a direct effect on the central nervous system, muscles, and surrounding joints. Future-proof your body and be ready for anything! Superior flexibility, mobility, and stability have been shown to decrease injury risk, helping you become stronger and more resilient. Increasing your flexibility, mobility, and stability allows you to achieve and train in better positions leading to greater strength, power, and speed production. Stop wasting your time! We see way too many people performing ineffective passive stretches. Is this you? Passive stretching alone is not an effective way to increase your flexibility, mobility, and range of motion. We use the most effective active stretches, muscle activation techniques, joint mobilizations, and myofascial techniques to help you increase your flexibility and mobility in the shortest amount of time! Tight MUSCLES? Tight JOINTS? We can HELP! YOU CAN STREAM VIDEO ROUTINES ON ALL DEVICES, AT ANY TIME! New 15-minute video routine added daily! 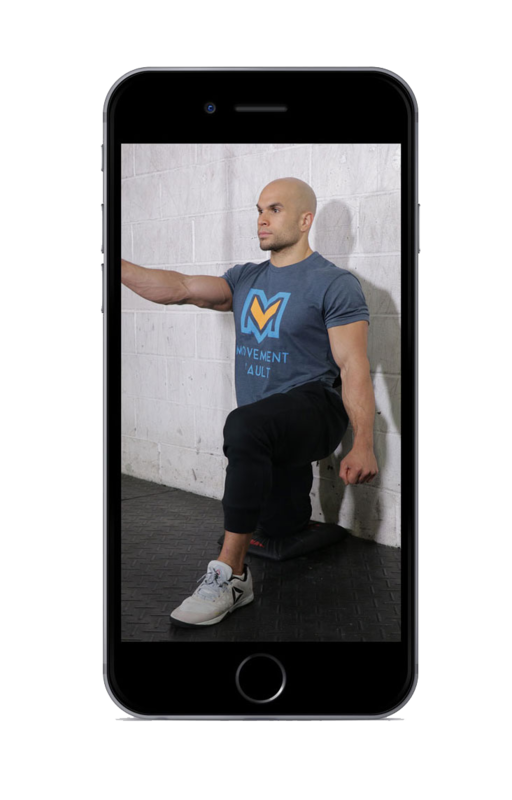 Follow along with our flexibility and mobility video routines anywhere! WE TAKE THE GUESS WORK OUT! Dr. Grayson Wickham. All you have to do is login and follow along! Follow our daily VIDEO ROUTINE or search for specific areas of your body or movements you want to focus on. Reduce INJURY rate! And use for REHAB! Our program will help your body become more resilient and help you avoid future injury. When you are tight in one area of your body, another area has to compensate. This compensation can lead to injury. Our video routines help your entire body move better, decreasing compensation, and decreasing the chance for future injury. For the price of Two lattes, you can have a month’s worth of access to all of the techniques that you need to decrease future injuries, and bring your performance, flexibility, and mobility to the Next level! WE CAN HELP YOU OPTIMIZE IT! Your workouts will improve, your life will improve! Stop wasting time, start using a flexibility and mobility program that actually works!